There is nothing new about commercial cards. Issuing banks and their corporate customers have used them for years. Recently, however, we have witnessed a proliferation in card types. In line with the increasing automation of back-office payables capabilities, the market has expanded into areas like T&E Cards, P-cards, central travel accounts, and executive cards. And now we are seeing the use of e-payables and virtual cards shoot up, with some businesses doubling or even tripling their virtual card spend. It is still early days for virtual cards, and they only account for a small proportion of most issuers’ commercial card portfolios. But their growth has reportedly been in the triple digits for some issuers as organisations look to them to improve business processes and exert tighter control over payments. So, what’s driving this growth? The consumerisation of commercial banking plays a big part. People are using less cash in their daily lives, opting instead for more modern payment methods such as digital wallets within mobile devices. The concept of using virtual cards is therefore familiar to most employees, even if the name itself feels somewhat alien. They are used to this kind of approach - and many are demanding the same payment experiences in their business life that they enjoy in their lives as consumers. That’s one aspect - but virtual cards can also deliver direct benefits to a business. One such benefit is the ability to reduce credit exposure through limiting the number of plastic cards issued to employees. Businesses can instead move to a request-based process. with a virtual card issued to employees when spend is required. With the addition of card controls, a business can further restrict spend to the approved criteria within the request. A process based on pre-spend request ensures that a business has visibility of spend before it happens therefore significantly reducing erroneous expenditure and back-end expense management. Furthermore, integration with an Expense Management System (EMS) ensures no double-touching of an expense by an employee as correct categorisation of spend can happen up front. Long-term growth in virtual cards also depends on an expansion in the kinds of business use cases available. If virtual card usage is to continue growing at pace in the business arena it is important that providers promote them outside of the traditional travel use-case – and focus instead on educating businesses and driving usage for a wider range of spend needs, currently only serviced through traditional plastic cards. This will deliver further opportunities for fintechs to change the thinking and acceptance of virtual cards within the business market. By promoting use among smaller, growing, businesses who are looking to manage cash flow and retain tighter spend controls, fintechs can also promote best practice expense management processes to an innovation-thirsty market. The long-term prospects for virtual cards look positive – as virtual cards and e-payables have reportedly exploded in popularity, even relative to the wider market. It seems reasonable to expect that the consumer who never wants to carry cash today will also never want to carry debit or credit cards with them in the years to come. In line with this, the actual term ‘virtual card’ may be short-lived. 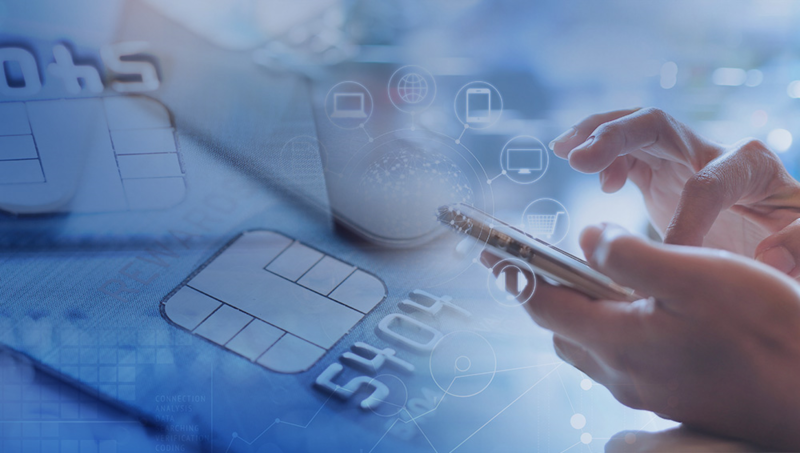 With the use of the word ‘card’ being misleading in a digital age, branding may change to virtual or online accounts and will effectively involve access to payments throughout a user’s digital wallet. Ultimately, whatever name is chosen, the benefits of virtual cards both for businesses and business users, cannot be ignored. Businesses gain through enhanced control of the expense management process, increased payments security and reduced opportunity for fraud, while users get a more intuitive, convenient way of managing their expenses. The name ‘virtual card’ may not endure but the concept is here to stay.